For lesbian women in the LGBT community, there are a number of options available for you to explore when you have decided to become a mother. Whether you have decided to use the process of home-insemination, or travel to of our exclusive surrogacy specialists for treatment, we are here to give you an in-depth look into the world of family building possibilities for lesbian women. We understand the challenges you face in the LGBT community, and we are deeply committed to supporting and guiding you through whatever questions or concerns that may arise for you. 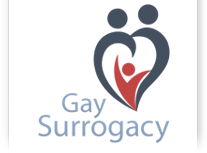 With aptitude and pure innovation, our GaySurrogacy platform is here to make your life easier and turn every step of your journey into a treasured experience. MAKING TODAY COUNT. When passion runs this deep, the only choice is to follow where it leads. Inspired by you, the all new GaySurrogacy will feed your hunger. It will stimulate your knowledge. It will get you on the path to parenthood without the guesswork. Lesbian parenting involves finding a sperm donor and determining which partner (or both) will experience the pregnancy and childbirth. Our exclusive network of family building specialists can provide you with varying degrees of intervention you may need in order to become mothers, including artificial insemination (IUI), modern in vitro fertilization (IVF), egg donation programs, and sperm donation. Our specialists will help you find the most cost-effective strategy that is right for you. No matter what path you choose to take — it is imperative that you understand the laws about gay surrogacy for lesbians in your particular state. In order to protect yourself, and in particular your newborn baby, it is vital that you have legal contracts drafted by a knowledgeable attorney who understands the nuances of the law in your state and can ensure that any potential risks have been adequately addressed and diminished. Our GaySurrogacy platform was inspired by the simple notion of giving back to deserving communities and be supportive of issues that serve a purpose in life. We are here to help keep your dreams alive — parenthood never felt so close.